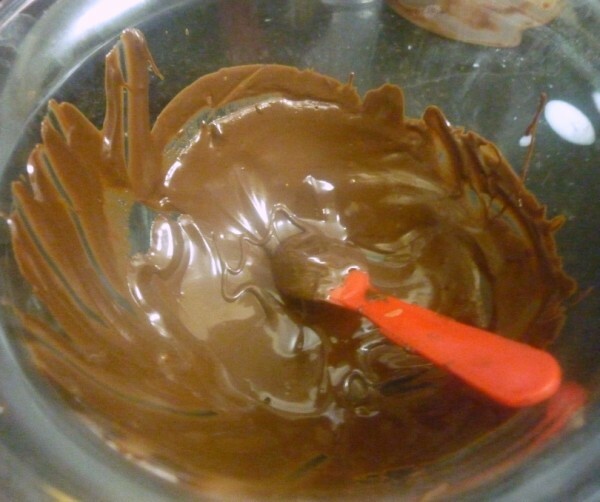 For the final day of Kid’s Delight on Desserts, I made this Chocolate Splurge. I saw this being done in one of the cooking contest that I was a judge. I was so impressed with the variety of dishes that the contestants displayed. I had noted down some of them that I wanted to make. This was one of the dish. The lady was quite comfortable making this with the cooking chocolate. This was the final dish that I made this weekend and one of the toughest since I had the boys so eager to see what I was making. They were so impatient that I had to give them each one before it could actually got set. The moment they saw me making the paper cones, nothing was more interesting. They wanted to make it themselves and didn’t let me do anything. I was feeling so frustrated and with great difficulty managed to make it. 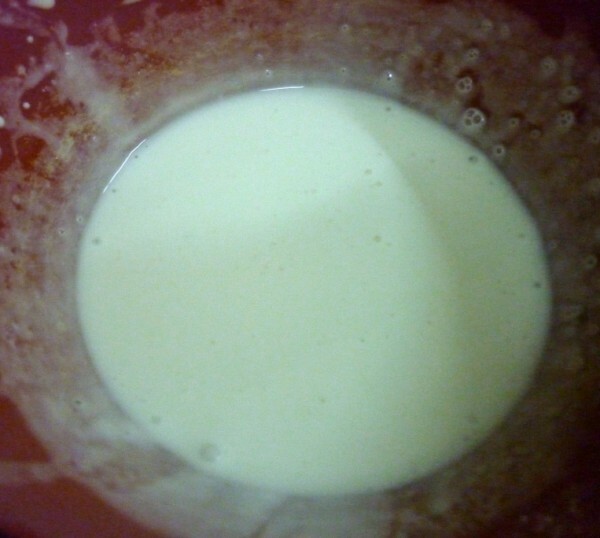 Above all, the whipping cream wouldn’t peak and I had to add it almost in a liquid state. I just went ahead making it and set it to freeze. 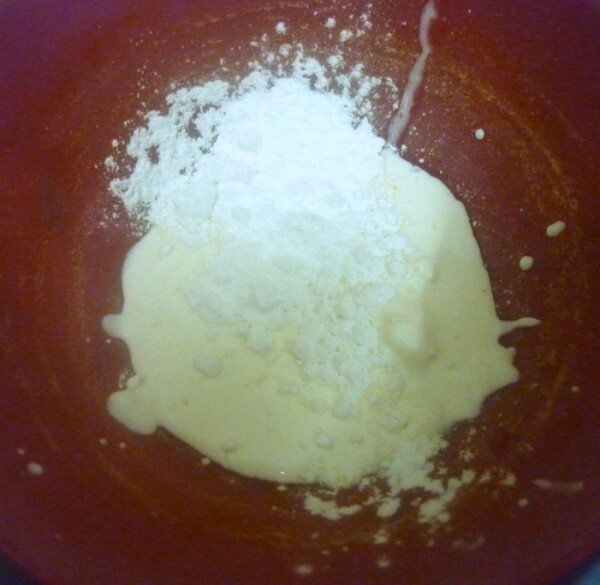 The overnight it took to set, ensured that the cone was done well, including the cream to set as well. As expected, it was there one moment, disappeared the next second. I was glad that I managed to click it when the kids were not so focused on it. Cut ten 3 inch circles of baking parchment/ Butter paper. Shape each circle into a cone shape and secure with cello tape. 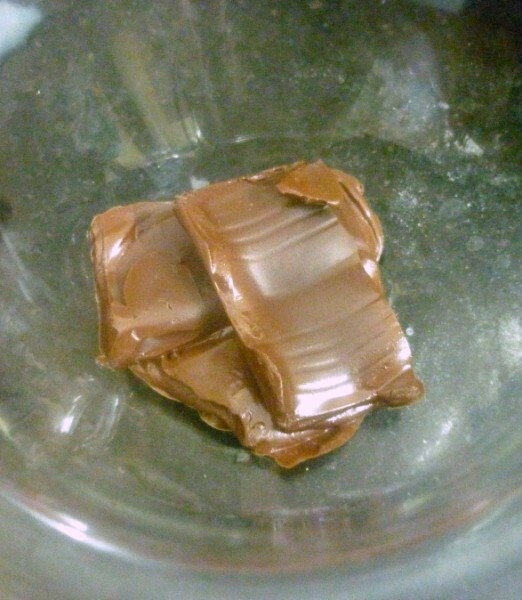 Melt the chocolate in microwave or double boiler, making sure there is no water coming in contact with chocolate. 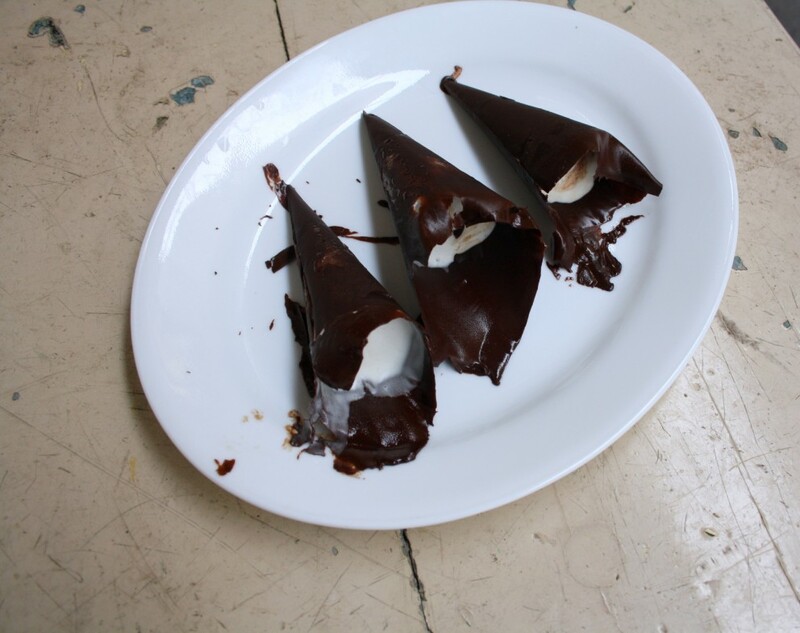 Using a brush, dip into the melted chocolate, first coat the bottom of the cone fairly thickly then put some more chocolate and coat the inside of the cone all the way up to the top of the paper. 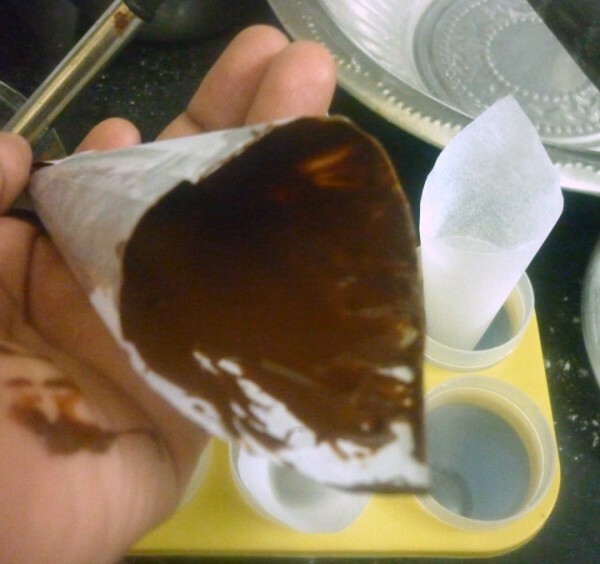 Make sure that the inside of the paper cone is well coated with the melted chocolate and you are unable to see any uncoated paper. 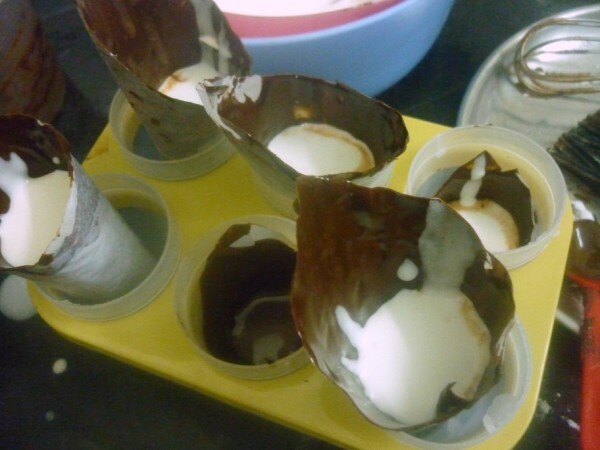 Place the cones in any empty kulfi moulds and put in the freezer for 10 minutes. Carefully peel away the paper. 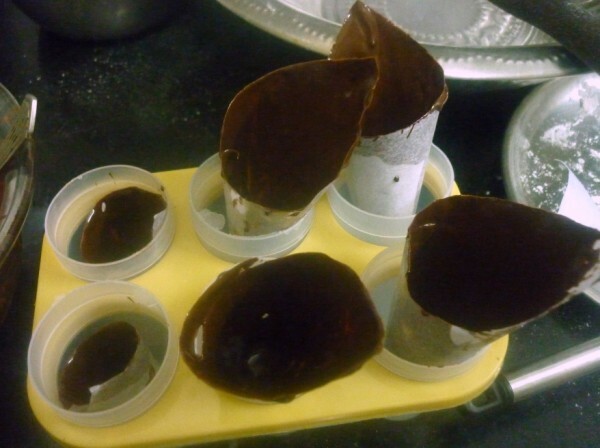 Store the chocolate cones in a container lined with butter paper. Whip the cream until it forms peak. 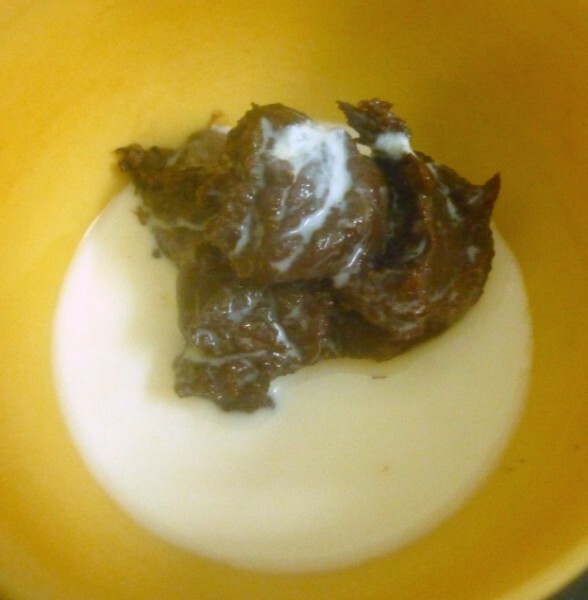 Put the whipped cream in a piping bag fitted with a star nozzle and pipe the mixture into the chocolate cones, in between add pieces of chocolate chips and chocolate fudge. Decorate with chocolate rice or chips again. 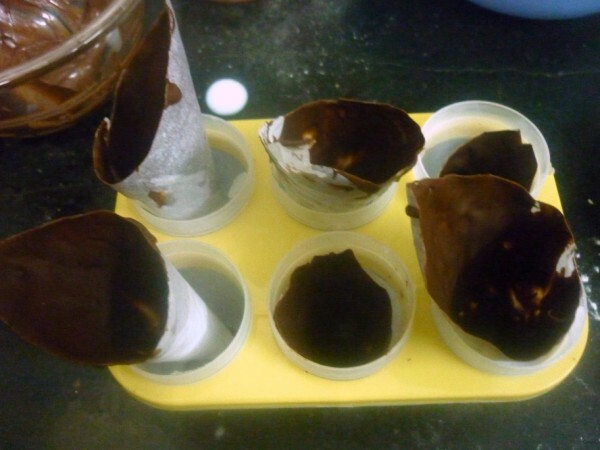 The chocolate cones can be made in advance and kept in refrigerator for upto a week. Do not fill them for more than 2 hours before serving. wow. very nice and yummy treat. Ultimate valli!!!! It looks so inviting. very very interesting and tempting recipe.. bookmarking it!!! Very innovative recipe. I saw something similar on Master Chef. Am book marking this one…. wow awesome idea…..kids will luv it! Hi valli, i tried pinning this from your page, but it gives me a screen with no pic and disabled pinit button!!! Valli, they look cute. 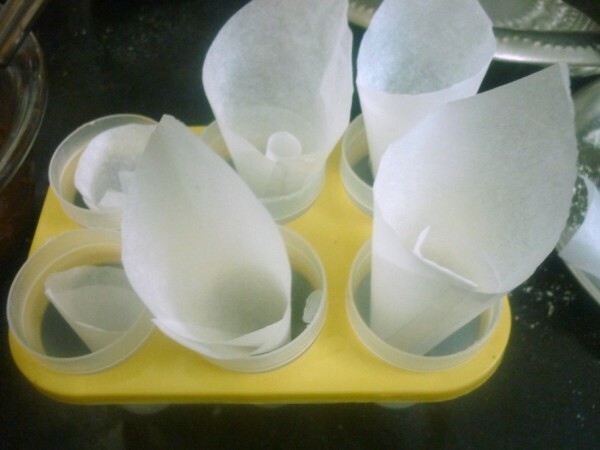 I had something similar in mind but the recipe uses foil cups instead of cones. Wow, very attractive chocolate cones, kids will go crazy on seeing it. Thats really cute and innovative! 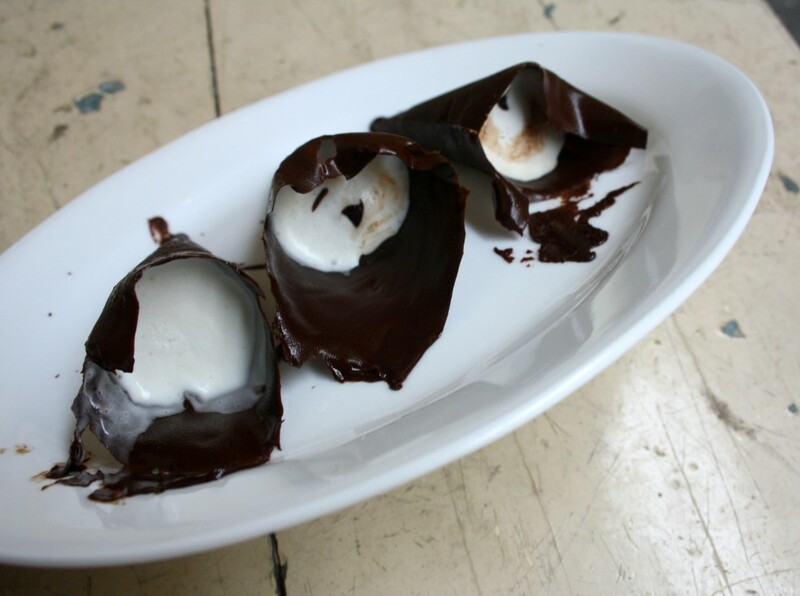 Wow, those chocolate cones are perfect to serve with delicious fillings. LOVE them.